On 5 April 2017, the European Union and the United Nations will hold a joint conference on the future of Syria and its region. "Civil Society" is invited to participate, but it is not clear in advance if the Brussels meeting will be a "fund raising" one, in which case most non-governmental organizations (NGO) in consultative status with the UN will have little to contribute or if there will be wider aims. The EU-UN meeting is the third in a short space of time concerning Syria, a reflection of concern with the refugee flow and the continued violence and suffering in Syria and Iraq. 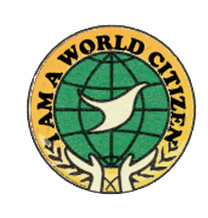 The following is a text written on behalf of the Association of World Citizens (AWC) that is being sent to governments in advance of the 5 April conference. The text notes earlier appeals and efforts of the AWC in the Syria-Iraq-Turkey conflicts. Following the 23-25 January 2017 talks in Astana, Kazakhstan sponsored by the Russian Federation, Turkey, and the Islamic Republic of Iran, a new round of UN-sponsored talks, 23-31 March was held in Geneva (informally called Geneva 4). The UN Special Envoy for Syria, Mr Staffan de Mistura has led the UN, Geneva and Lausanne-based talks. Not all the parties involved in the Syria-Iraq conflicts are participants in the talks. ISIS and the Kurds were not present nor all segments of the opposition to the Government of President Bashar al-Assad have been formally present. What informal talks are held in Geneva hotels and restaurants during the negotiations are not officially reported. There is a large and active Kurdish community in the Geneva area and some may be spokespersons for the effort to create Rojava, a Kurdish autonomous zone in Northern Syria that might form some sort of association with the Kurdish autonomous area of Iraq. The Geneva-based talks have concerned short-term issues such as a ceasefire, safety of Syrian civilians and humanitarian access. There have also been longer-range issues concerning political processes such as a transition administration, constitutional changes, and elections for a new, more broadly based government. Parallel to the intra-Syrian talks mediated by Mr de Mistura, the United Nations has been concerned with the human rights issues having created an Independent International Commission of Inquiry on the Syrian Arab Republic as well as a joint UN-Organization for the Prohibition of Chemical Weapons investigative mechanism. The Association of World Citizens,(AWC), a non-governmental organization in consultative status with the UN, active on issues of the resolution of armed conflicts and the promotion of human rights, had welcome a 20 July 2011 call of then UN Secretary-General Ban Ki-moon for an inclusive dialogue to respond to pressing grievances and longer-term concerns of the Syrian people. The AWC, in a message to the Secretary-General encouraged broad participation of Syrian civil society in such a dialogue and indicated that AWC,knowing the possible usefulness of international NGOs in conflict resolution, would help facilitate such discussions in any way considered appropriate. In December 2011, there was the start of a short-lived Observer Mission of the League of Arab States. In a 9 February 2012 message to the Secretary General of the League of Arab States, Ambassador Nabil el-Araby, the Association of World Citizens proposed a renewal of the Arab League Observer Mission with the inclusion of a greater number of non-governmental organization observers and a broadened mandate to go beyond fact-finding and thus to play an active conflict resolution role at the local level in the hope to halt the downward spiral of violence and killing. 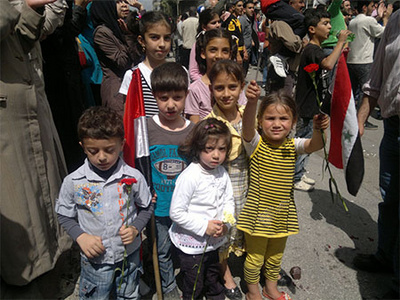 The fighting in Syria, Iraq and parts of Turkey has led to a large number of displaced persons and refugees. The response of governments to the refugee flow has been very uneven, welcoming in a few cases, outright rejection in other cases. The AWC early on called for a UN-led conference on refugees and internally displaced persons. The AWC welcomed and participated in the UN conferences on refugees and humanitarian aid. The armed conflicts in Syria, Iraq, Yemen and Afghanistan have led to serious violations of humanitarian international law: attacks of medical facilities and personnel, the execution of prisoners of war, the use of torture, the deliberate destruction of cultural heritage, the deliberate attacks on civilian populations, the use of weapons banned by international treaties. Therefore, the Association of World Citizens has stressed the need for a UN-led conference to reaffirm humanitarian international law. If strong support for international law is not manifested now, there is a danger that violations will become considered as "normal", and thus will increase. Strong measures of support for humanitarian international law are needed to be undertaken now. The structures of government, the authority, and the geographic limits of administrative regions, the rights and participation in national life of minorities have been issues in Iraq, Syria and Lebanon since the disintegration of the Ottoman Empire at the end of the First World War. Appropriate forms of government which allow both for local autonomy and regional cooperation need to be developed. The search for an appropriate structure for those considering themselves to be Kurds has been a particularly difficult issue often leading to violence. The Association of World Citizens which has a decentralization, federalist tradition in the spirit of Alexandre Marc and Denis de Rougemont, has highlighted that federalism and decentralization are not steps toward the disintegration of a State but rather are efforts to find a more just structure of State organization and regional cooperation. The Association of World Citizens welcomes the 5 April 2017 EU-UN conference on Syria and the region. The Association of World Citizens re-confirms its willingness to cooperate fully in the vast and critical effort for an end to the armed conflict and a development of an inclusive and just society.